On Wednesday, Dec 11, Bear Necessity Korea met with World Protection for the Society for Animals (WSPA) representative Chris Gee in Seoul, Korea. Gee traveled to Korea from WSPA headquarters in London to meet with NGO Green Korea United (GKU). Gee is overseeing the development of the currently tabled bill titled “Farm Bear Management, Special Law”. The bill was drafted by the Democratic Labor Party’s Heong Hee-deok along with other elected lawmakers to propose banning the practice of bear bile farming last year. Shortly after the bill’s introduction, talks were put on hold as the Korean Peninsula entered a state of crisis and tensions between the 2 Koreas mounted. Gee reported that a vice minister from the Ministry of Environment (MoE) communicated a distinct “intention to end the trade”, and has requested an amendment to the ministry’s annual budget paper. The requested funds would fund the research necessary to address infrastructural dilemmas faced by the government, should bear bile farming come to an end. The requested amount is USD 225,000. “If the amendment is accepted and the budget expands, we are in a better position to understand the next step”, Gee said. Gee emphasized his hopes for the NA to act swiftly, citing numerous past delays. “GKU was successful in adding a very specific clause to the paper, which states that the budget request is intended to end bear bile farming”, he said. Gee added that he expects the National Assembly to convene this month, or in January of 2012. “Budget approval could happen in December or January”, he said. “But the amendment would change everything, as it provides us with the R&D necessary to prepare the next stage”. Hurdles to the bill include farmer compensation, clashing ideologies amongst stakeholders, and the current “10 year ago of slaughter” imposed for farm bears. Welfare advocates have lobbied for the establishment of a sanctuary similar to that operated by Animals Asia. 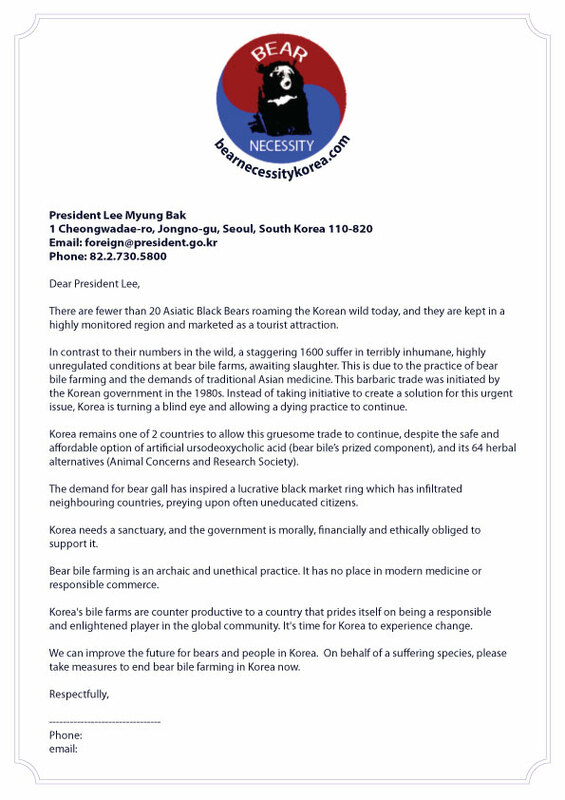 At present, fewer than 20 bears reside in Jirisan National Park, while an estimated 1400 bears live on Korean bear bile farms to fuel to traditional oriental medicine trade. 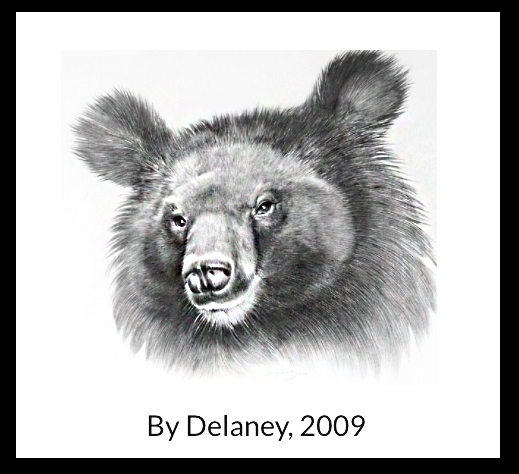 The Asiatic black bear is listed as a threatened and vulnerable species by the IUCN. Gee emphasized the need for welfare supporters to vocalize their support for an end to the trade. If you are a Korean constituent, we urge you to write to your local MP.